Description: 2004-14 FORD F150 2WD/4WD AND 03-15 EXPEDITION 2WD/4WD 1.5in. FRONT LEVELING KIT. 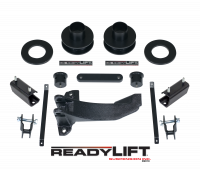 Description: 2007-16 JEEP JK WRANGLER 2DR/4DR 2WD/4WD 1.5in.T6 BILLET ALUMINUM FRONT LEVELING KIT, ANODIZED, BLACK -2012-UP vehicles may require driveshaft and exhaust modifications. Description: 2007-16 JEEP JK WRANGLER 2DR/4DR 2WD/4WD 1.5in. 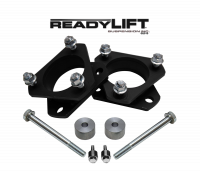 T6 BILLET ALUMINUM FRONT LEVELING KIT, ANODIZED, BLUE- 2012-UP vehicles may require driveshaft and exhaust modifications. 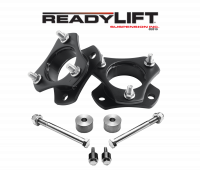 Description: 2007-16 JEEP JK WRANGLER 2DR/4DR 2WD/4WD 1.5in.T6 BILLET ALUMINUM FRONT LEVELING KIT, ANODIZED, RED -2012-UP vehicles may require driveshaft and exhaust modifications. Description: 2004-13 NISSAN ARMADA/TITAN 2WD/4WD- 2.0in. FRONT LEVELING KIT. Description: 1995-04 TOYOTA TACOMA 2WD/4WD 6 LUG -2.0in. 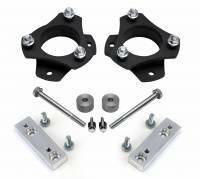 FRONT STRUT SPACER LEVELING KIT . STEEL CONSTRUCTION WITH BLACK FINISH AND INCLUDED DIFFERENTIAL DROP SPACER AND SKID PLATE SPACER KITS. 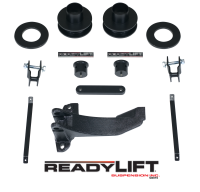 Description: 1994-2013 DODGE RAM 2500/3500 4WD2.0in., (NON RADIUS ARM)and 94-01 RAM 1500 4WD T6 BILLET ALUMINUM FRONT LEVELING KIT. ANODIZED, BLACK IN COLOR. Description: 2007-16 JEEP JK WRANGLER 2DR/4DR 2WD/4WD 2.0in. 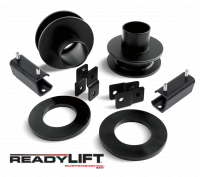 T6 BILLET ALUMINUM FRONT LEVELING KIT, ANODIZED, BLACK- 2012-UP vehicles may require driveshaft and exhaust modifications. 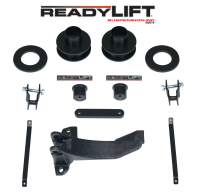 Description: 1994-2013 DODGE RAM 2500/3500 4WD2.0in., (NON RADIUS ARM)and 94-01 RAM 1500 4WD T6 BILLET ALUMINUM FRONT LEVELING KIT. ANODIZED, BLUE IN COLOR. Description: 2007-16 JEEP JK WRANGLER 2DR/4DR 2WD/4WD 2.0in. 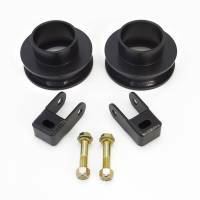 T6 BILLET ALUMINUM FRONT LEVELING KIT, ANODIZED, BLUE- 2012-UP vehicles may require driveshaft and exhaust modifications. 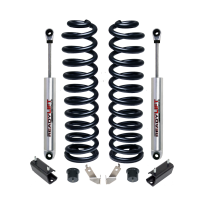 Description: 1994-2013 DODGE RAM 2500/3500 4WD2.0in., (NON RADIUS ARM)and 94-01 RAM 1500 4WD T6 BILLET ALUMINUM FRONT LEVELING KIT. ANODIZED, RED IN COLOR. Description: 2007-16 JEEP JK WRANGLER 2DR/4DR 2WD/4WD 2.0in. 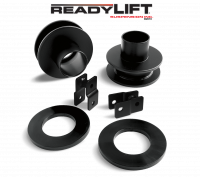 T6 BILLET ALUMINUM FRONT LEVELING KIT, ANODIZED, RED- 2012-UP vehicles may require driveshaft and exhaust modifications. Description: 2007-16 TOYOTA TUNDRA 2WD/4WD -2.4in. FRONT LEVELING KIT . 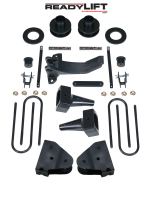 STEEL CONSTRUCTION WITH BLACK FINISH AND INCLUDED DIFFERENTIAL DROP SPACER AND SKID PLATE SPACER KITS. Description: 1997-2004 F150 HERITAGE 4WD/ 97-04 EXPEDITION 4WD/ 97-2000 F250 LIGHT DUTY 7 LUG 4WD - FRONT 2.5in. 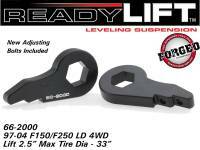 FORGED TORSION KEY LEVELING KIT . Description: 2004-14 F150 2WD/ 04-13 MARK LT 2WD/ 2004-08 F150/MARK LT 4WD ONLY - 3.0in. 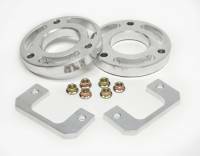 FRONT STRUT SPACER LEVELING KIT. STEEL CONSTRUCTION WITH BLACK COATING. Description: 1999-06 TOYOTA TUNDRA & 2001-07SEQUOIA 2WD/4WD - 3.0in. FRONT LEVELING KIT. 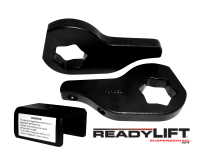 STEEL CONSTRUCTION WITH BLACK FINISH INCLUDES DIFFERENTIAL DROP SPACERS AND SKID PLATE SPACERS. 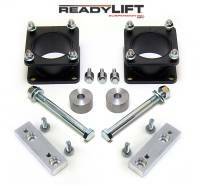 Description: 12005-16 FORD F250/350/450 4WD LOWER SPRING SPACER FRONT LEVELING KIT. T6 BILLET ALUMINUM, ANODIZED, BLACK IN COLOR. 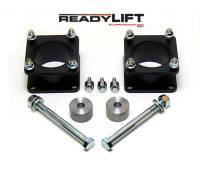 Description: 2005-16 FORD F250/350/450 4WD LOWER SPRING SPACER FRONT LEVELING KIT. 1.5in. T6 BILLET ALUMINUM, ANODIZED, BLUE IN COLOR. 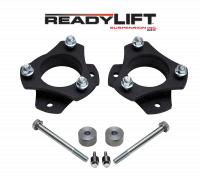 Description: 2005-16 FORD F250/350/450 4WD LOWER SPRING SPACER FRONT LEVELING KIT. T6 BILLET ALUMINUM, ANODIZED, RED IN COLOR.